How to fix a shade sail without drilling? To hang a shade sail without drilling, you will have to use fixing poles. They will provide you with hanging points outside the house, even allowing you to install a canvas away from any existing building. In which cases is it not possible to drill to install a shade sail? 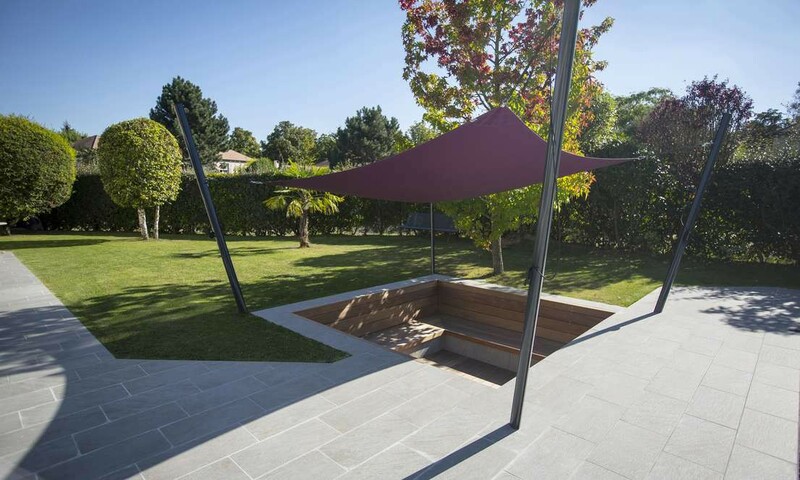 To facilitate the installation of a shade sail, it is often proposed to fix it to existing walls, or even to nearby trees if their location allows it. It is a practical solution for setting up a rectangular shade sail in a walled terrace. If you do not have the necessary equipment to drill the wall. If you want to install a shade sail away from home. The fixing poles then allow to take over. How to choose a fixing mast? To fix your shade sail without drilling, you can use wooden masts, steel or aluminum. Those made of metal remain more resistant, as much in the wind as in the passage of time. They will be more suitable for sustainable use. We also offer brushed stainless steel poles that are both durable and elegant, and our aluminum polesare available in two colors. The masts can be fixed in the ground. It will then be necessary to provide a hole about 30 cm in diameter, in which you will pour concrete, to ensure the stability of the mast. At Espace Umbrage, we also provide a tube that provides additional rigidity to the mast (more than recommended for windy areas or if several sails are hung on the same mast). For floors that can not be dug, such as concrete slabs or wooden terraces, you will also find screw-on bases directly in these coverings. These bases also make it easy to remove the mast at the end of the summer season, then to slide it back when summer comes. If you are renting and you can not dig the ground or break the terrace, you will turn to guyed masts. The latter are maintained by solid sardines fixed in the ground, in the manner of a tent. The holes, fine, will leave no trace once the masts removed. How to properly install its mast for fixing shade sail? Vertically, at a right angle to the ground. Inclined, at an angle of 75 ° to the ground (which allows to have a greater shade sail, regardless of the size of the terrace, while stretching it sufficiently). If you opt for a mast fixed in the ground, only two thirds of it will have to exceed the ground, for more stability. Provide a hole 40 cm in diameter, and a sufficient depth (60 cm minimum), in which you will pour concrete. In order to position your masts as well as possible, count an extra 30 cm between the bracket on the shade sail and the mast. This will ensure sufficient tension and improve the wind resistance of the fabric. If you use a single mast for multiple shade sails, consider reinforcing the mast with guys , as it will have to withstand a lot more pressure. To read also: How to choose a shade sail?